Last weekend, the New York Times (NYT) was praised to the high heavens by activists who campaign tirelessly for a “world without Zionism.” The praise of those who dedicate all their energies to demonizing the world’s only Jewish state was well-deserved. One can’t get more simplistic than that, but Ehrenreich has since worked hard to spread this view and has won an award for his contribution to the popular “water libel”-genre of writings that accuse Israel of stealing and/or poisoning Palestinian water supplies. So this is the “much-loved” heroine of the “heroic villagers” that NYT Magazine promoted on its cover and in a lengthy feature story. 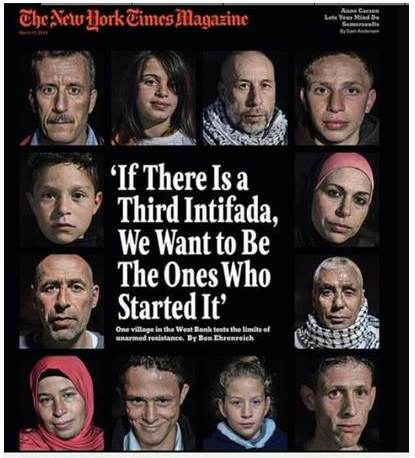 What is truly remarkable about the cover is that NYT Magazine chose to include the images of at least two children among those who want to get the credit for starting a third Intifada. This is actually remarkably honest, because – as I have recently documented in a post on “The child-soldiers of Palestine” – it is a longstanding Palestinian tradition to encourage and train children to participate in violent confrontations with Israel, and Palestinian children were also used in the last Intifada. As Ehrenreich himself acknowledges, one of the children featured on the NYT Magazine cover – the girl in the bottom row of photos – is already well-known. Indeed, Ehrenreich’s efforts to present Nabi Saleh’s wannabe Intifada instigators as “people like you and me” requires him to treat their confrontations with Israeli soldiers as a “family affair” that naturally includes the children. 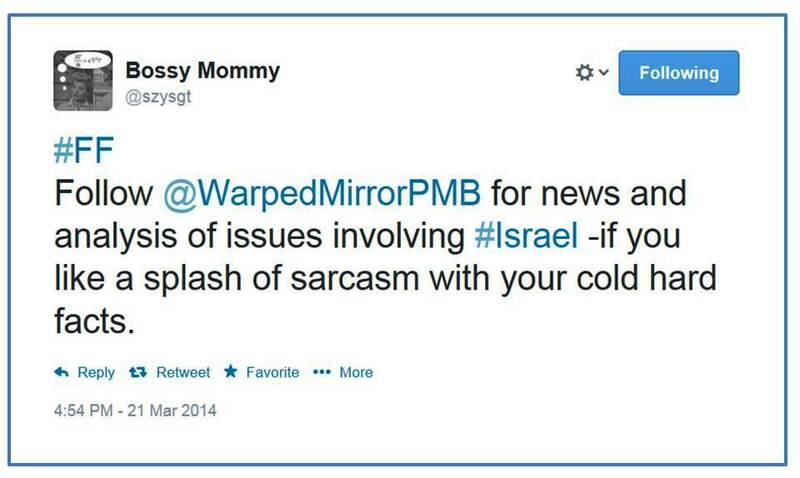 But not just Ehrenreich and NYT Magazine are willing to idolize a girl who is encouraged by her parents to try her best to provoke Israeli soldiers. The 11-year-old Ahed Tamimi – daughter of Bassem Tamimi, the leader of Nabi Saleh’s Intifada-hopefuls – had received an award and an iPhone from Turkey’s Prime Minister Erdogan in recognition of her photogenic efforts to wear out the patience of Israeli soldiers. Ahed Tamimi is just an 11-year-old girl, but her parents must be so proud that they brought up their daughter in this tradition – which nowadays is recognized, rewarded and promoted not just by Turkey’s Islamist prime minister, but also by the NYT Magazine.